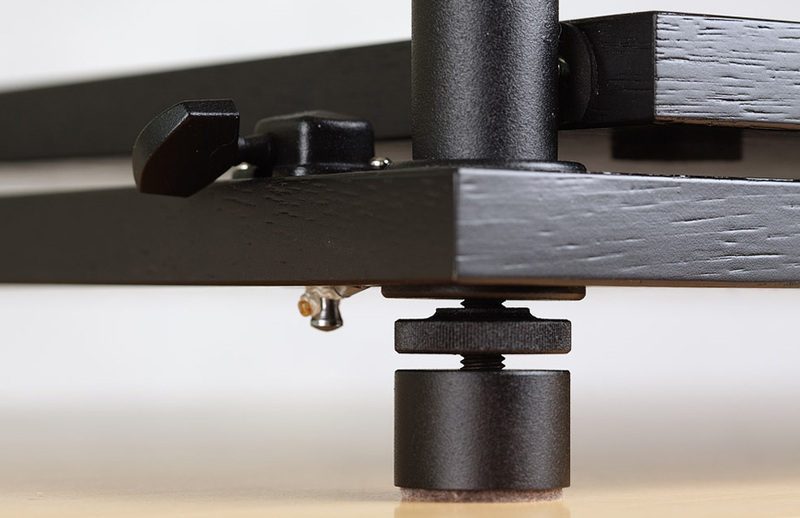 PAB AVMF (AVMF − anti-vibration full metal foot) are universal foot, which we mount on all PAB anti-vibration platforms and optionally in anti-vibration tables (racks) and stands. They are made from metal alloys (bronze, brass, duraluminum) or metal (aluminum, copper, steel). Their dimensions depend on their purpose. 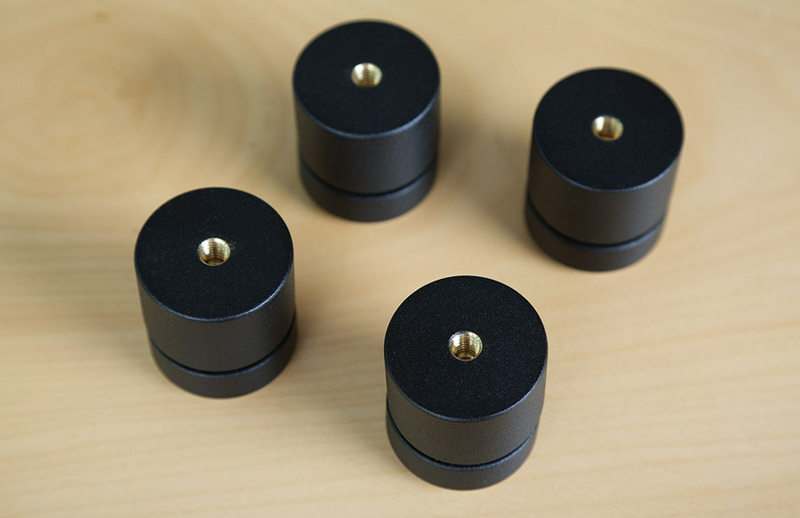 For the platforms we use feet with 1.0-1.4″ diameter and similar height, for the racks and stands − higher and more massive − 1.4-3.2″ diameter and heights up to 2.4″. 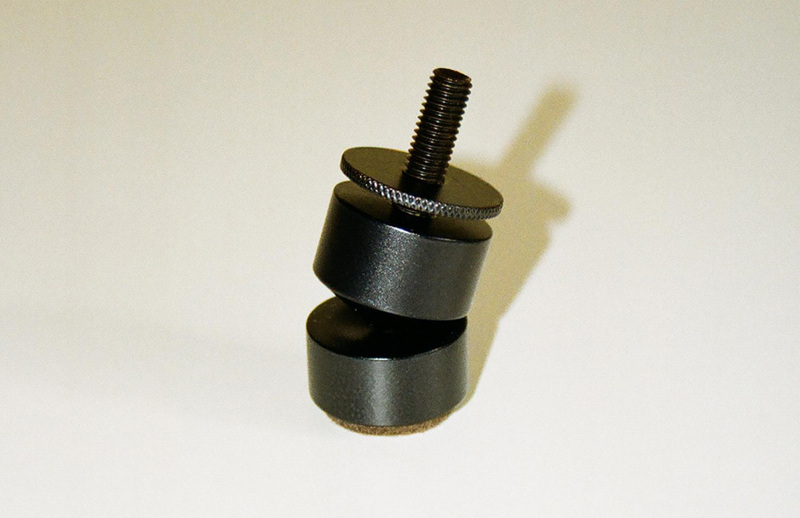 Similar to roll bearing feet, they are equipped with threaded pins and counter-bolts of appropriate diameter and knurled edge, which can be easily manipulated, regardless of where they are mounted. The load capacity of one PAB AVMF is between 176.4 and 264.6 lb, and their weight (depending on the size of the foot and material used) − 0.4-2.4 lb. Similar to ball bearing feet, those are also covered with powder coating in different colors (usually chosen by the client) or varnishes Du Pont. We can also anodize, chrome plate or spray paint them. 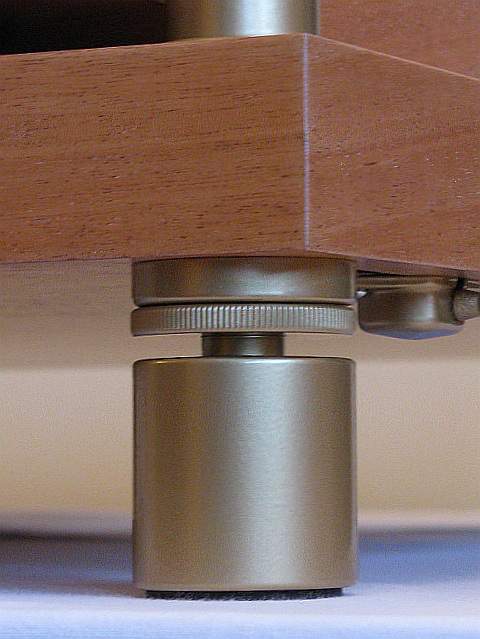 Usually the PAB AVMF have the shape of a cylinder, with a certain diameter and matching height. 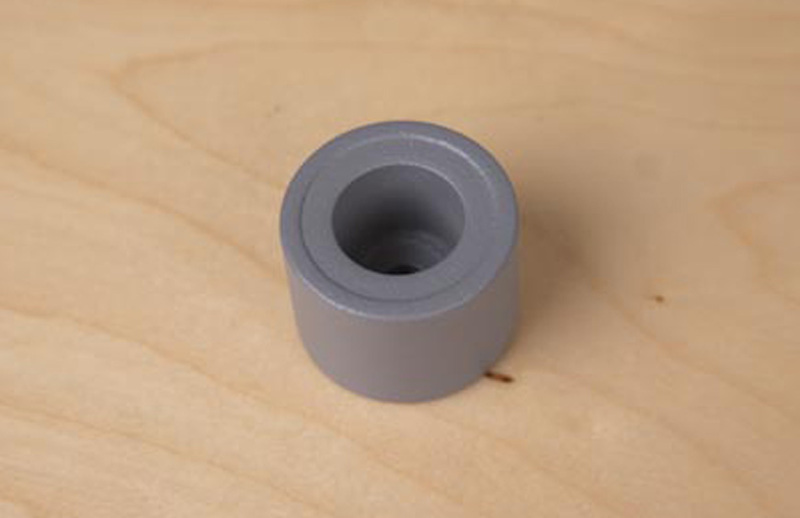 On demand we can make other shapes − keg, round, cone (two elements − a cone and a socket), spindle etc. 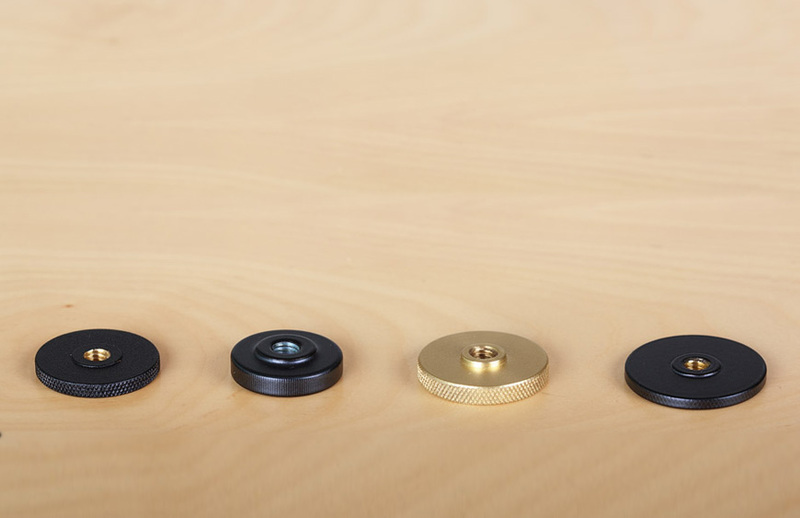 The metal feet, just like the bearing feet, are usually sold in sets of 4 pieces. However other amounts can be ordered: 3 pieces, 6 pieces, 8 pieces etc, depending on the client’s needs. For example to stably seat a device without the need of levelling, 3 feet are needed, and for our big tables − PAB AVD − 6 feet.